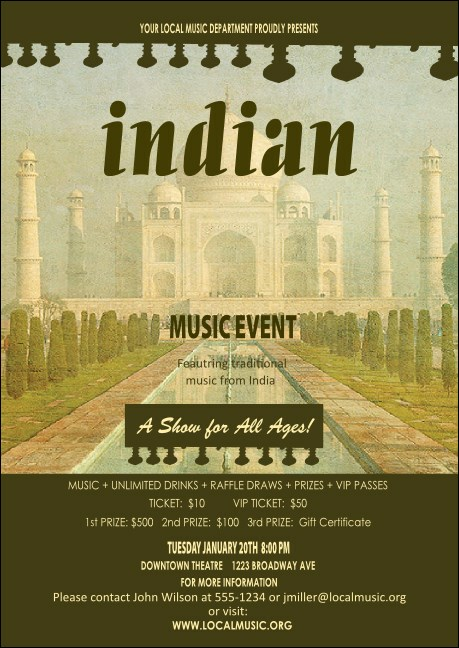 Show your appreciation for music and culture when you hand out the Indian Music Postcard before your event. This inviting template features a jewel of architecture, the Taj Mahal, in soft colors bordered by rich brown. Accent your event promotions with a Matching Event Kit, which includes coordinating tickets, posters and invitations. Appx. size 4.25" x 6"
Create an advertising masterpiece with the right postcard from TicketPrinting.com.